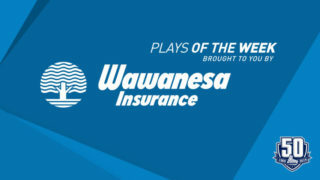 For the third time this season, Peter Abbandonato of the Rouyn-Noranda Huskies has been named the Ultramar Player of the Week. 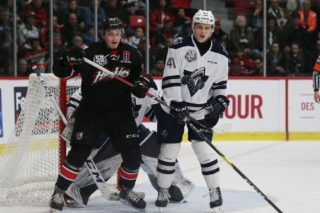 In three games, the 20-year-old from Laval, Quebec scored once and added eight assists as the Huskies continued their remarkable winning streak. 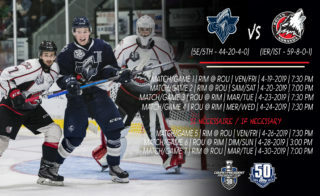 On Wednesday night, Rouyn-Noranda made its way to Val-d’Or for another edition of the Battle of Route 117. Abbandonato would fire home the game-winner in the second period and assist on the insurance marker in the third as Rouyn-Noranda defeated the Foreurs 4-1. 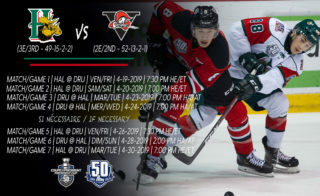 Facing the Central Division Champion Drummondville Voltigeurs at home on Friday night, the fourth-year veteran picked up four assists, becoming the first player in the QMJHL to eclipse the 100-point plateau this season, in the Huskies’ 6-1 victory over the Voltigeurs. For his efforts, Abbandonato was named the game’s first star. 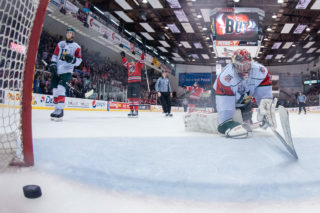 Back at home on Saturday night, the Huskies’ next challenge came in the form of another division champion, the Halifax Mooseheads. 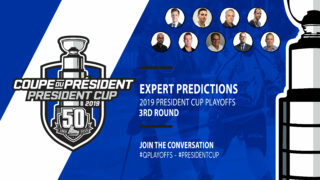 Overcoming an early 3-1 deficit, Abbandonato chipped in three assists as Rouyn-Noranda rallied for an 8-4 triumph over the top club in the Maritimes Division. For the Huskies, it was their 24th consecutive victory, tied for the second-longest such streak in league history. Abbandonato currently leads the QMJHL scoring race with 104 points in 62 games. He also holds top position in the league with 77 assists, 28 powerplay assists and a +/- rating of +63. A second-round selection of the Huskies at the 2014 QMJHL Draft, Abbandonato attended NHL training camp with the St. Louis Blues last September.